Despite his promising start as a young man, by his early 50s Chester A. Arthur was known as the crooked crony of New York machine boss Roscoe Conkling. For years Arthur had been perceived as unfit to govern, not only by critics and the vast majority of his fellow citizens but by his own conscience. As President James A. Garfield struggled for his life, Arthur knew better than his detractors that he failed to meet the high standard a president must uphold. And yet, from the moment President Arthur took office, he proved to be not just honest but brave. Today Grover Cleveland is mainly remembered as the only president to be elected to two non-consecutive terms. 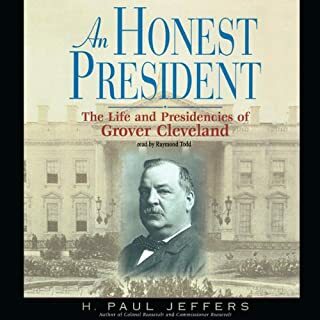 But in his day, Cleveland was a renowned reformer, an enemy of political machines who joined forces with Theodore Roosevelt to fight powerful party bosses, a moralist who vetoed bills he considered blatant raids on the Treasury, a vigorous defender of the Monroe Doctrine who resisted American imperialism. Worst. President. Ever. 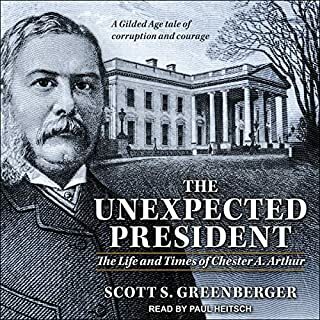 flips the great presidential biography on its head, offering an enlightening - and highly entertaining - account of poor James Buchanan's presidency to prove once and for all that, well, few leaders could have done worse. 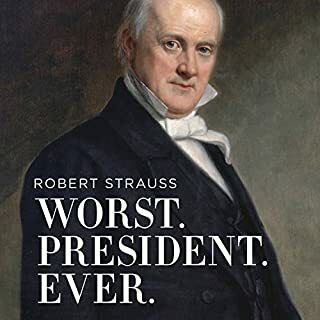 But author Robert Strauss does much more, leading listeners out of Buchanan's terrible term in office to explore with insight and humor his own obsession with presidents, and ultimately the entire notion of ranking our presidents. Perhaps no U.S. president was less suited for the practice of politics than John Adams. A gifted philosopher who helped lead the movement for American independence from its inception, Adams was unprepared for the realities of party politics that had already begun to dominate the new country before Washington left office. 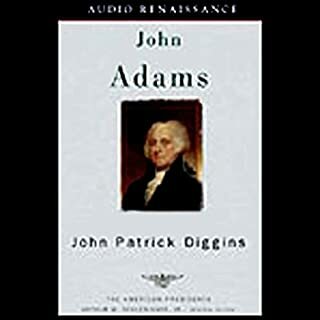 But, as John Patrick Diggins shows, Adams's contributions still resonate today. James A. Garfield may have been the most extraordinary man ever elected president. Born into abject poverty, he rose to become a wunderkind scholar, a Civil War hero, and a renowned and admired reformist congressman. Nominated for president against his will, he engaged in a fierce battle with the corrupt political establishment. But four months after his inauguration, a deranged office seeker tracked Garfield down and shot him in the back. But the shot didn’t kill Garfield. The drama of what hap­pened subsequently is a powerful story of a nation in tur­moil. 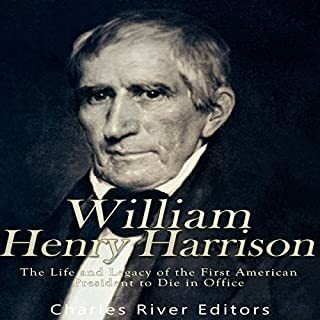 When one is looking quickly over the lives of the Presidents of the United States, it is easy to overlook William Henry Harrison. After all, he only served as the Chief Executive for 30 days, and he spent the majority of those in bed, fighting for his life and eventually losing. However, to ignore Harrison because he served such a short time in the White House is just as foolish as ignoring Patrick Henry or Alexander Hamilton because they were never elected to the nation's highest office. The 20th US president, James A. Garfield, served for only 200 days before his untimely death. His widowed mother raised Garfield in poverty on an Ohio farm. He served as a general in the Civil War before serving his country in the House of Representatives. A passionate man, Garfield had many priorities when elected president - he wanted to reduce the national debt, build up education, and ensure Civil Rights were granted to all freed slaves. Yet his death came too quickly when a madman with a personal vengeance shot him, and a fumbling doctor failed to save his life. From New York Times best-selling author and political mastermind Karl Rove comes a fresh look at President William McKinley, who found a message that healed his nation, pried his party away from its bosses, and extended its reach to forge a governing majority that lasted 30 years. Prize-winning historian Glen Jeansonne delves into the life of our most misunderstood president, offering up a surprising new portrait of Herbert Hoover - dismissing previous assumptions and revealing a political Progressive in the mold of Theodore Roosevelt and the most resourceful American since Benjamin Franklin. A major new biography of the Civil War general and American president, by the author of the New York Times bestseller A. Lincoln. 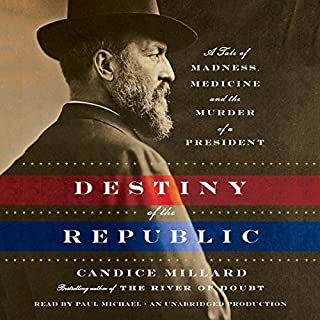 The dramatic story of one of America's greatest and most misunderstood military leaders and presidents, this is a major new interpretation of Ulysses S. Grant. Based on seven years of research with primary documents, some of them never tapped before, this is destined to become the Grant biography of our times. William Howard Taft never wanted to be president and yearned to serve as chief justice of the United States. In this assessment, author Jeffrey Rosen reveals Taft's crucial role in shaping how America balances populism against the rule of law. Taft approached each decision as president by asking whether it comported with the Constitution, seeking to put Roosevelt's activist executive orders on firm legal grounds. But unlike Roosevelt, who thought the president could do anything the Constitution didn't forbid, Taft insisted he could do only what the Constitution explicitly allowed. Calvin Coolidge, president from 1923 to 1929, never rated highly in polls, and history has remembered the decade in which he served as an extravagant period predating the Great Depression. Now Amity Shlaes provides a fresh look at the 1920s and its elusive president, showing that the mid-1920s was in fact a triumphant period that established our modern way of life: The nation electrified, Americans drove their first cars, and the federal deficit was replaced with a surplus. This is a major political biography of a great American president - who won a war, transformed the government, and doubled the size of the United States...in four years. When Polk was sworn in as the 11th president, what followed was one of the most consequential presidencies in history. In this lively and compelling biography, Harlow Giles Unger reveals the dominant political figure of a generation. A fierce fighter in four critical Revolutionary War battles and a courageous survivor of Valley Forge and a near-fatal wound at the Battle of Trenton, James Monroe (1751 - 1831) went on to become America's first full-time politician, dedicating his life to securing America's national and international durability. Goodwin describes the broken friendship between Teddy Roosevelt and his chosen successor, William Howard Taft. With the help of the "muckraking" press, Roosevelt had wielded the Bully Pulpit to challenge and triumph over abusive monopolies, political bosses, and corrupting money brokers. Roosevelt led a revolution that he bequeathed to Taft only to see it compromised as Taft surrendered to money men and big business. The rupture led Roosevelt to run against Taft for president, an ultimately futile race that gave power away to the Democrats. When James K. Polk was elected president in 1844, the United States was locked in a bitter diplomatic struggle with Britain over the rich lands of the Oregon Territory, which included what is now Washington, Oregon, and Idaho. Texas, not yet part of the Union, was threatened by a more powerful Mexico. And the territories north and west of Texas---what would become California, Nevada, Utah, Arizona, New Mexico, and part of Colorado---belonged to Mexico. With Abraham Lincoln's assassination, his "team of rivals" was left adrift. President Andrew Johnson, a former slave owner from Tennessee, was challenged by Northern Congressmen, Radical Republicans led by Thaddeus Stephens and Charles Sumner, who wanted to punish the defeated South. When Johnson's policies placated the rebels at the expense of the freed black men, radicals in the House impeached him for trying to fire Secretary of War Edwin Stanton. John Milton Cooper, Jr., is widely acknowledged as one of the world’s preeminent Woodrow Wilson biographers. This thoroughly researched profile of America’s 28th president is universally hailed for its scholarship and insight into the life and career ofone of the nation’s most polarizing leaders. If Rutherford B. Hayes's significance as chief executive had faded in the public memory, nothing brought it back into our consciousness more than the similarities between the controversial elections of 1876 and 2000. In 1876, Hayes's opponent, Samuel Tilden, won the popular vote and led the Electoral College, but the returns in several states were in dispute. A special electoral commission convened and handed the presidency to Hayes. Newspapers of the time cried of "the iniquity in Florida." Yet this cry of foul was only one of several obstacles facing the new president. After years of Grant-era corruption, the Republican Party looked to the earnest and upright Hayes to revitalize their flagging and scandalized party. As the volume of protest over election results increased, the Southern Democrats threatened to oust Hayes, and so he was forced to conciliate. To the dismay of the more conservative Republicans, he struck a deal to end military occupation of the South, thus ending the Reconstruction. In retrospect, as historian Hans L. Trefousse points out, it was this decision that helped unify the country and which restored legitimacy to the Oval Office. As chief executive, Hayes's accomplishments were mixed. His conservative financial policies helped lift the country's economic depression, and he was able to reform the civil service and quell the 1877 labor uprising. But many of his well-intentioned goals, such as a bill that would help fund education for black children, were never realized, and many contemporary historians fault him for his lack of action on these fronts. Rather than pursue a second term, Hayes decided to retire, maintaining his reputation for temperance, authority, and stability. Ultimately, it was Hayes's ability to compromise in order to help revitalize a floundering and factionalized nation that serves as his real legacy. This book read like a timeline of his actions and accomplishments - a Cliff Notes - a third grader's report on "What I did this summer". I must be spoiled afer reading the 2 volume bio (4 parts) of John Adams, the 2 volume bio of Teddy Roosevelt (The Rise of TR and Theodore Rex) and the excellent bio of Truman by David McCullough. Hans Trefousse continually refers to Ari Hoogenbloom as a source of reference. When Ari's version comes out I'm getting it. Maybe everyone else should wait for that version, too. I was glad when this book was finished. This is a worthy of plodding biography of a dull man. The music between sections is very distracting and totally unnecessary but it's a thorough and detailed biography. I wanted to learn about Rutherford B. Hays... I was just hoping to do so with some excitement or intrigue monologue. this was incredibly boring on a subject I am genuinely interested in learning. I will decline to listen to more books by this author and narrator. Amongst TIME's 10 Forgettable Presidents this may actually his gift to the US as like the defence attorney of his pre political life he defend in his single term the institution of the Presidency. Nicknamed "Rutherfraud" due to the 1876 election's contested nature which the author draws comparisons throughout to the 2000 Bush v Gore Florida count problems. His presidency is one that follow this, the end of reconstruction, a Grant administration that was filled with political patronage/corruption, and a Democratic Party focused on obstruct black equality. This efficient biography takes you through his early life & education, career as an accomplished defence attorney, military service in the civil war and his political life, as well as quick retirement chapter. I like Hayes after this book but the biography lacks a story or hypothesis about what made tick. This is most noticeable in the second half of the book where the reader expects more analysis. The warrior aspect is a common theme in his other two biographies but I'm left feeling he was always a defence attorney in his thinking. One gets the sense his diary is dry and provides little insight but I'm guessing as the author never suggests it. 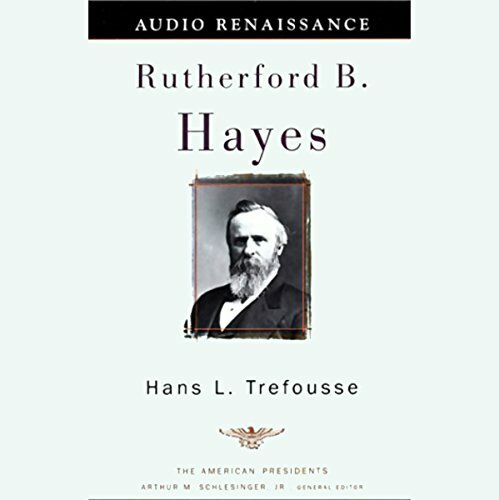 I'd like to revisit Hayes with a biography more comprehensive which this descent President deserves. Overall worth a read to be introduced to a President that might be forgotten but is worth remembering. "He serves his party best who serves his country best" - his words he lived by. What didn’t you like about Ira Claffey’s performance? The performance is dry but 3 stars - I thought from the sample the quality of sound would be worse it was actually ok. However, the post-production of music at cut points for the CD is very annoying. The music volume makes it difficult to hear the narrator.